Has anybody else been looking forward to Benefits newest offering? Benefit have taken their boxed powder snazzed it up, made it cuter (if possible), put a dinky mirror in the lid. 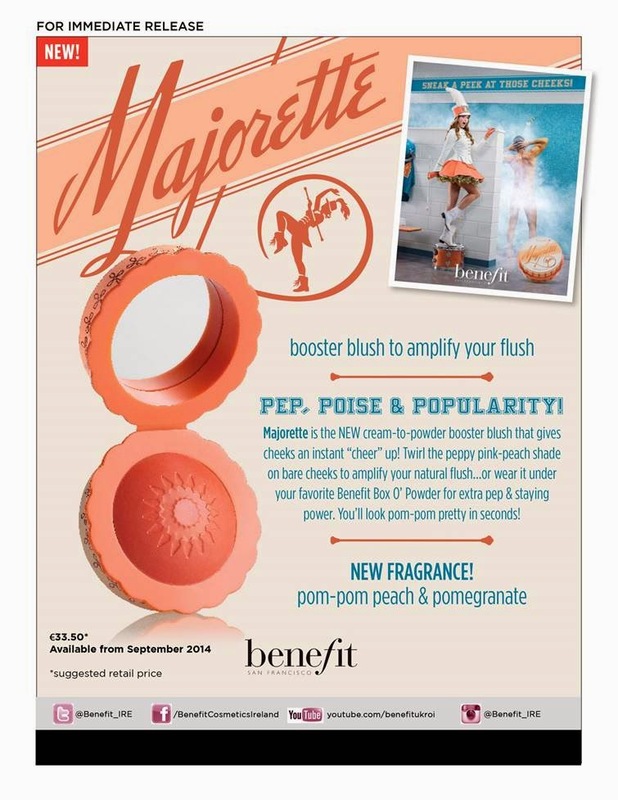 If that wasn't enough Majorette has a cream to powder finis, which smells like peach and pomegranate. Majorette is exclusively available at the Benefit Boutique Dublin and will be on counters nationwide from Saturday 30th August.